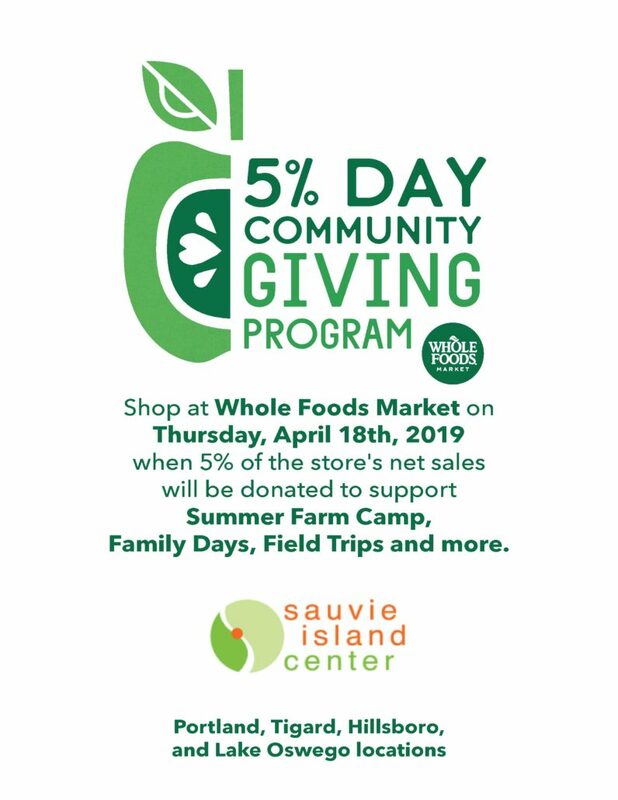 On Thursday, April 18th Whole Foods Market will donate 5% of Portland-area* net sales to the Sauvie Island Center. 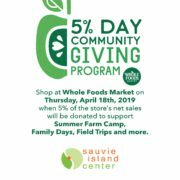 Whole Foods Market has been a long-term supporter of the Sauvie Island Center, sponsoring our annual Barn Dance, Family Farm Days and more. Show your support for the Sauvie Island Center and Whole Foods Market’s commitment to farm-based education by shopping at any Portland-area Whole Foods Market on the 18th. Take your co-workers to lunch or grab coffee and treats for the staff in the morning. Better yet, get a group together and shop for a Saturday night friends dinner or a family brunch on Sunday. This is a great opportunity to stock your pantry with products that you can feel good about. Don’t forget about cruelty-free skin care products, the bountiful floral department and their vast selection of beer and wine. Whatever you do, get that list together and power shop for a cause.